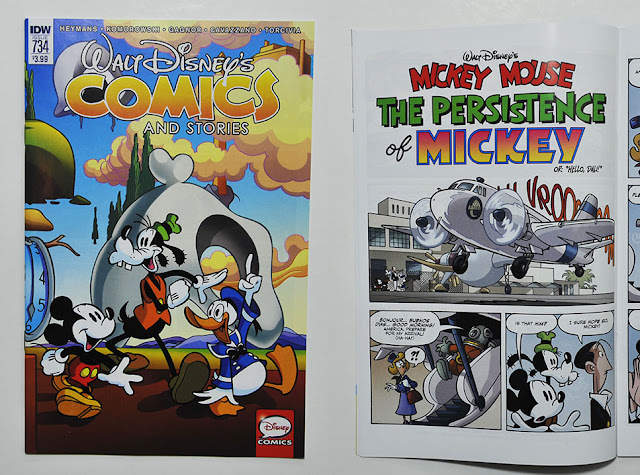 Disney Comics Randomness: The Persistence of Mickey or "Hello, Dali!" Walt Disney’s Comics and Stories #734 had a story I’ve wanted to read for a while. 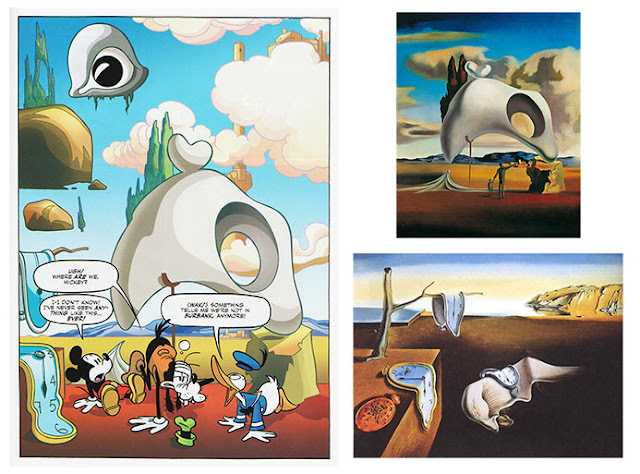 I’ve been curious about The Persistence of Mickey or "Hello, Dali!" since BOOM! announced WDC&S #720 with the cover for the story. That issue never happened, but now IDW finally published it in English instead. 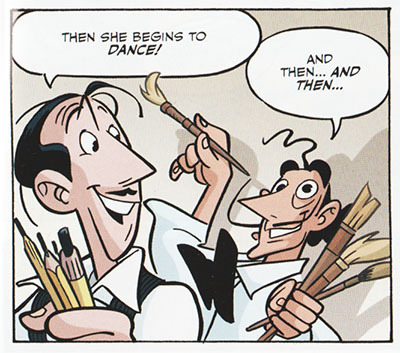 Two of the characters in the story are none other than Walt Disney himself and Salvador Dali. 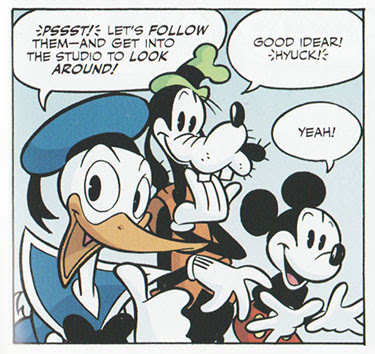 In addition we have Mickey, Goofy and Donald in an early 30’s character design – even if the story is supposed to take place in 1946. So what happened in 1946? That’s when Salvador Dali briefly was employed by Disney to work on the animated short Destino. The project got closed down before the work was finished, and the movie was shelved for more than fifty years until finished by others in 2003. I haven’t done any close comparisons, but it doesn’t look like the comic story got much elements from the actual animation they were supposed to work on in the story. Instead Mickey, Goofy and Donald get sucked into one for Dali’s paintings (Atavistic Vestiges after the Rain from 1934 it seems) and get trapped in a surrealistic world that is a mix of Dali’s various paintings. The most interesting with this story for me however was just seeing the characters drawn in an old style. Donalds’s beak seems to have a sharper point than I’ve seen anywhere else though. 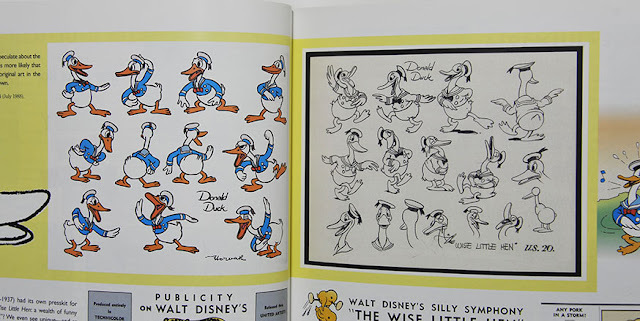 Even the earliest model sheets didn’t look like this. Oooooohhhh, I'm so pooooor! Why is egmont so dumb? It's such a pitty, that we in germany NEVER get a good story in our monthly! It's not that hard to find a copy of this issue :) And it's going to be collected in a TPB in February too. But I agree that the Egmont weeklies/monthlies have a lot of boring content. There are some interesting stories now and then but also lots of "fillers" as I like to call them. A few years ago the weeklies usually had some longer stories printed in parts too – but when the Norwegian publisher decied to only sell every second issue in stores (you need to subscribe to get all), it seems Egmont Creative stopped producing longer stories for the weeklies! So this is affecting other countries as well. Now we rarely have any stories with more than 10 pages in the weeklies. 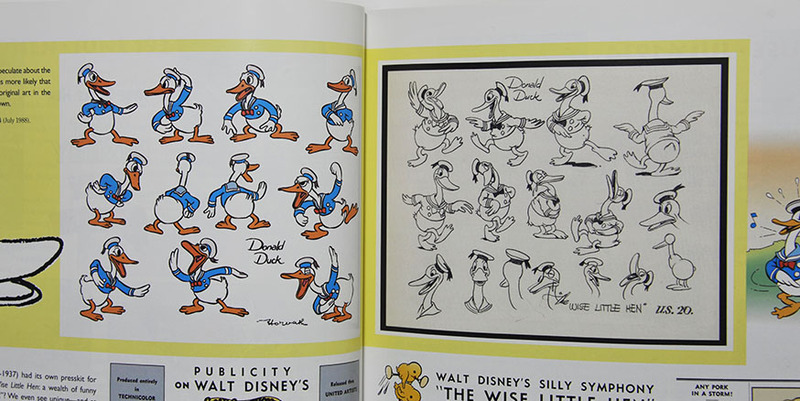 So right now, I think it's more interesting to follow the American Disney comics. Yeah, I'm doing this sometimes, but on some Germans main-railway-stations, you can get the italian "Topolino", I think that's fine. (I think you can use google translator ;)). But now something about "The persistance of Mickey". I like the idea of the story and the art by Cavazzano is just great. When "Tutto questo accadrà ieri" has been published, I felt a bit reminded, but it was also a very good story. Sounds like it's partly cost related too. That's sad because I've always liked the longer adventure stories the most. They were the ones I found most interesting as a kid too.